Hi Sweet Friends! 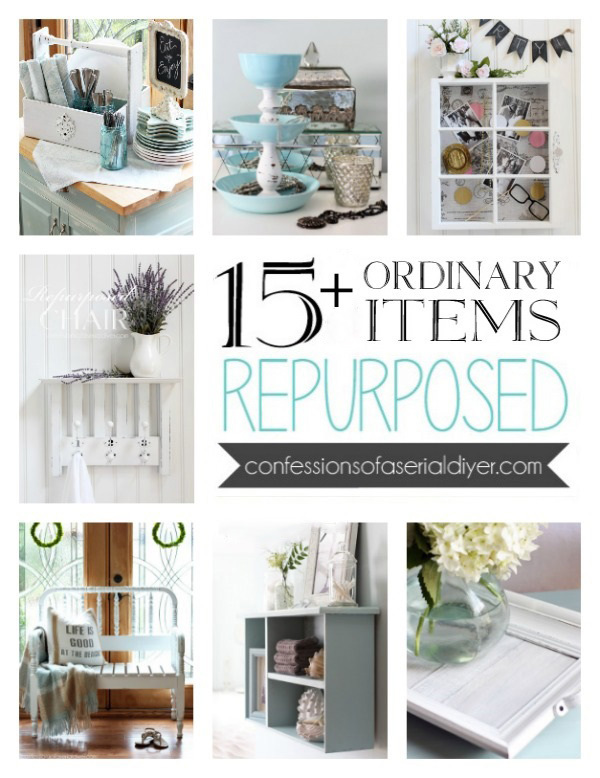 Ready for a trash to treasure transformation? Good! 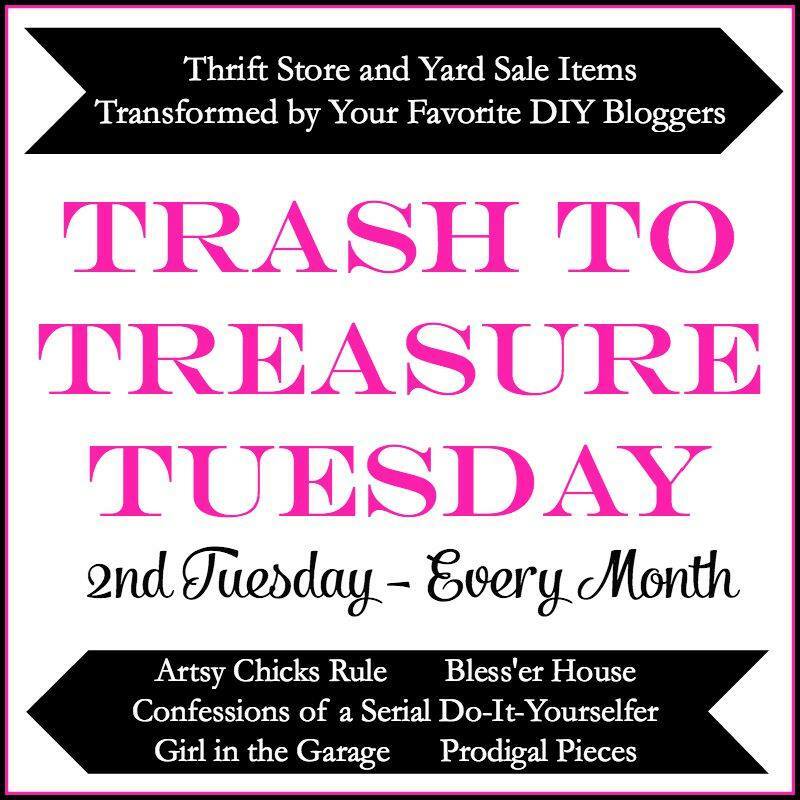 Because it’s Trash to Treasure Tuesday! 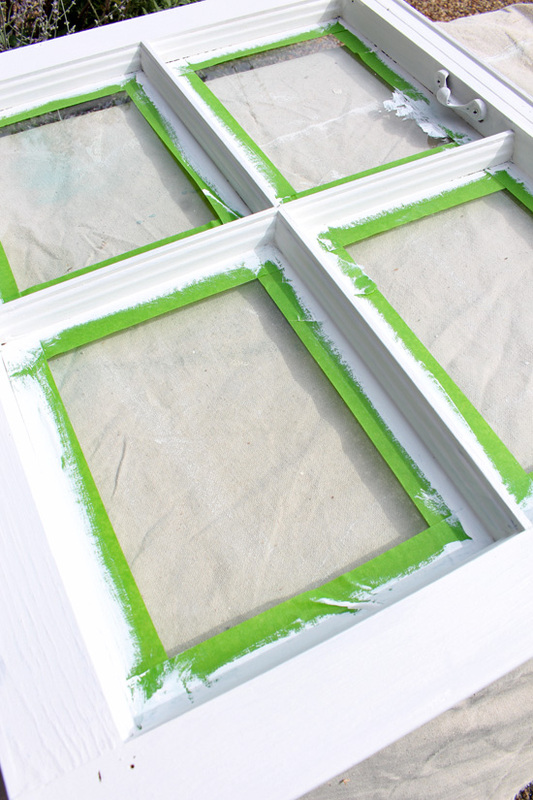 I picked up several windows this Summer and had yet to do anything with them. For today’s transformation, I decided to create something simple with one of them. 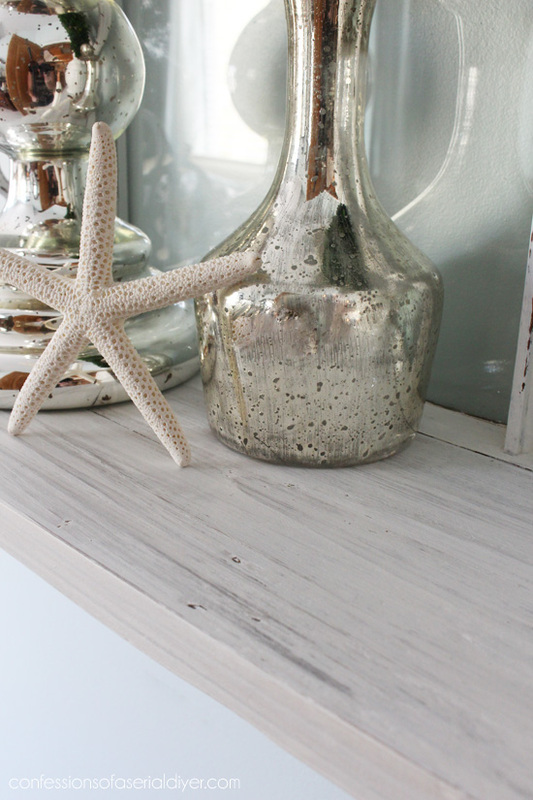 Then I white washed the shelf portion (you can see how simple that is to do here), and sanded the window smooth and on all the raised areas when the paint was dry. 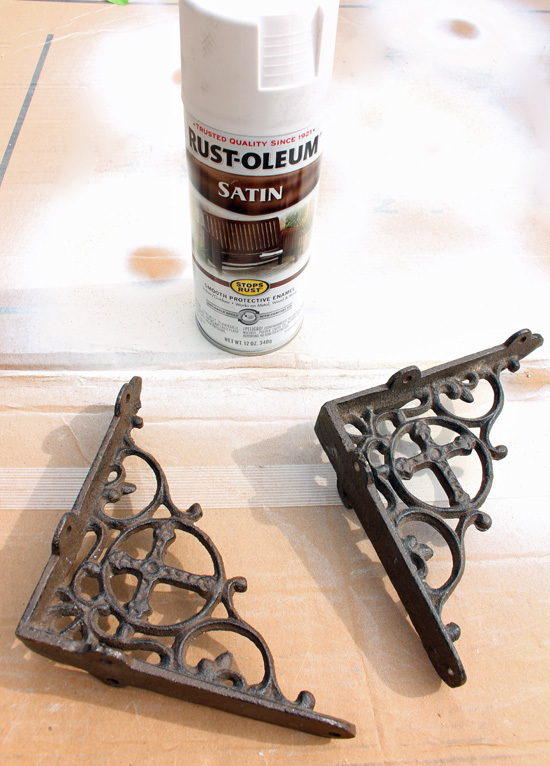 They got a couple of coats of Rustoleum Satin White. Then I just screwed them in place. Told ya this was easy! I sealed it all with clear soft wax too. I stole this candlestick from my coffee table. 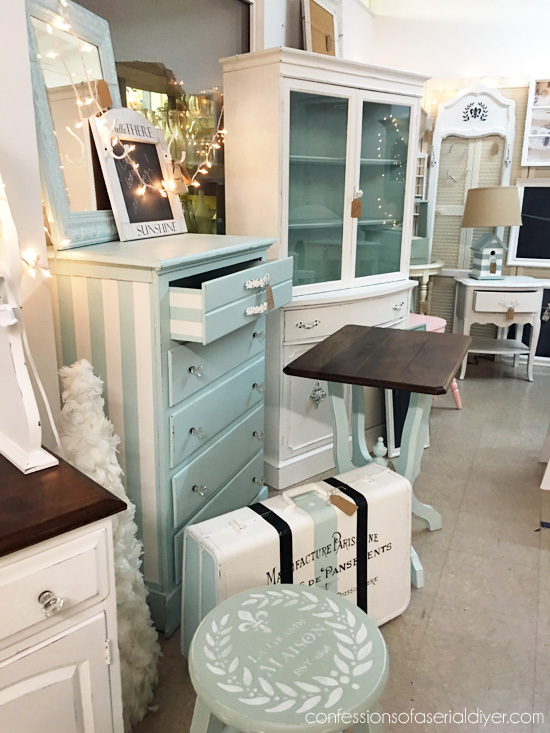 I am so in love with them…found them at Pier one this Summer. 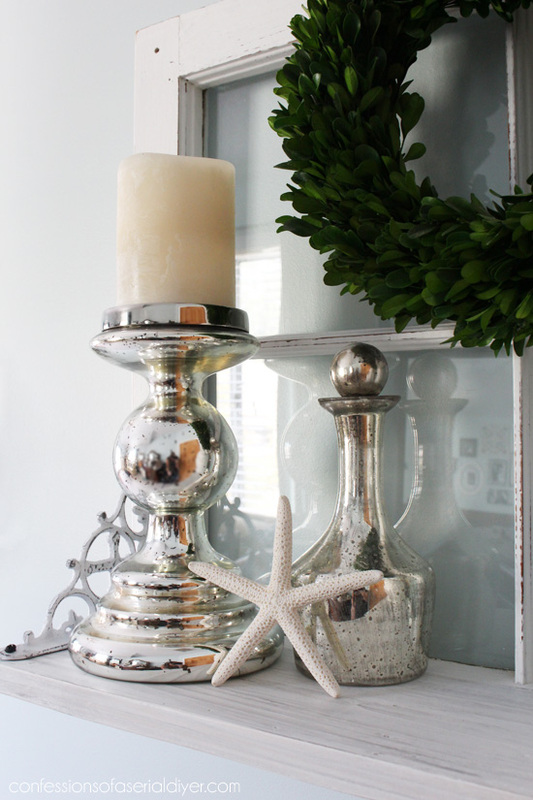 The little mercury glass bottle was a thrift store find. 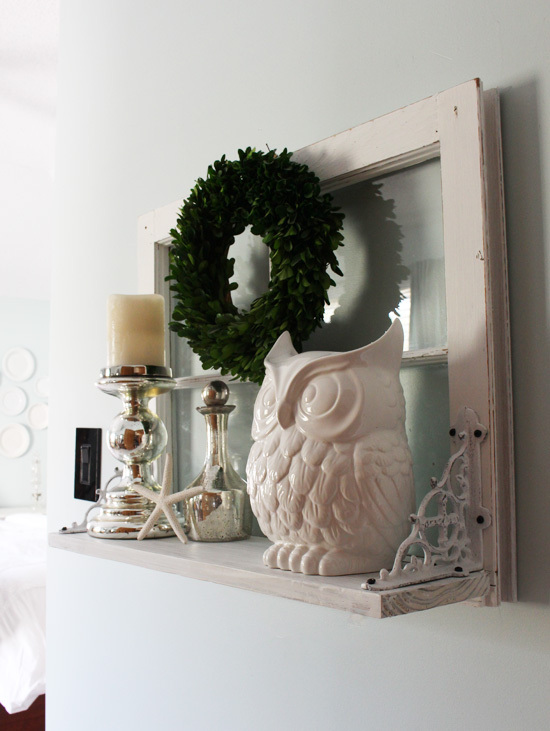 Don’t miss what my fellow cheapskate decorators are making over today too! 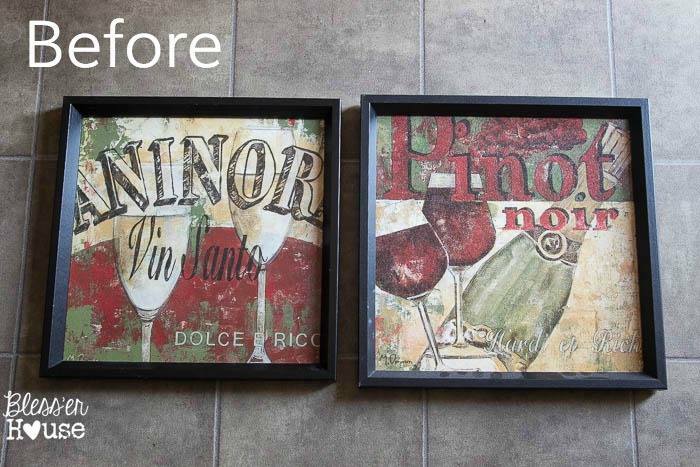 Click on each photo below to see the after! 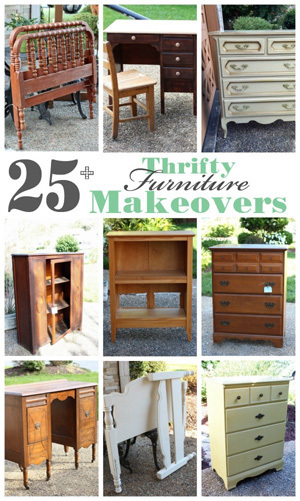 Hope you enjoyed these fun thrifty makeovers! 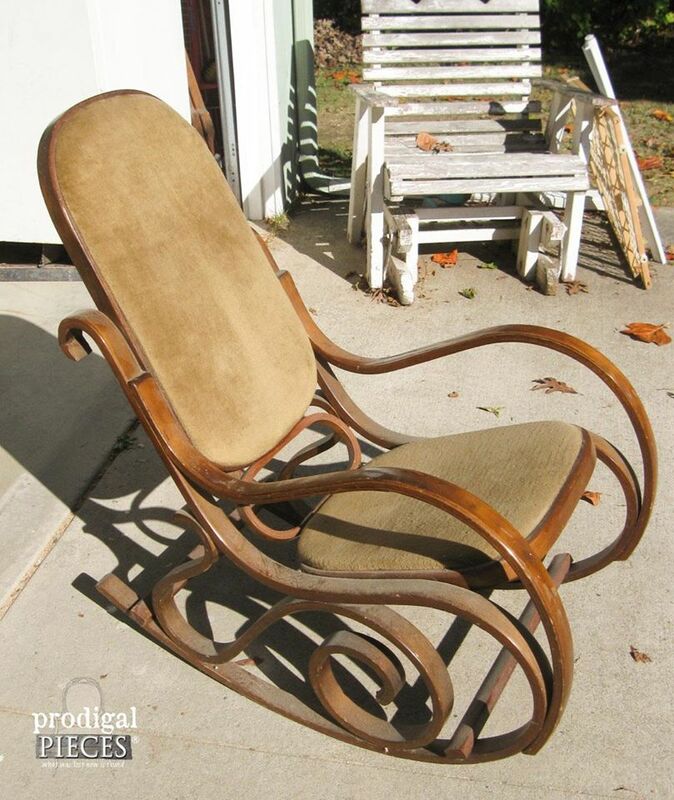 Doesn’t it make you want to get in your car and head straight to the thrift store, or is that just me?! 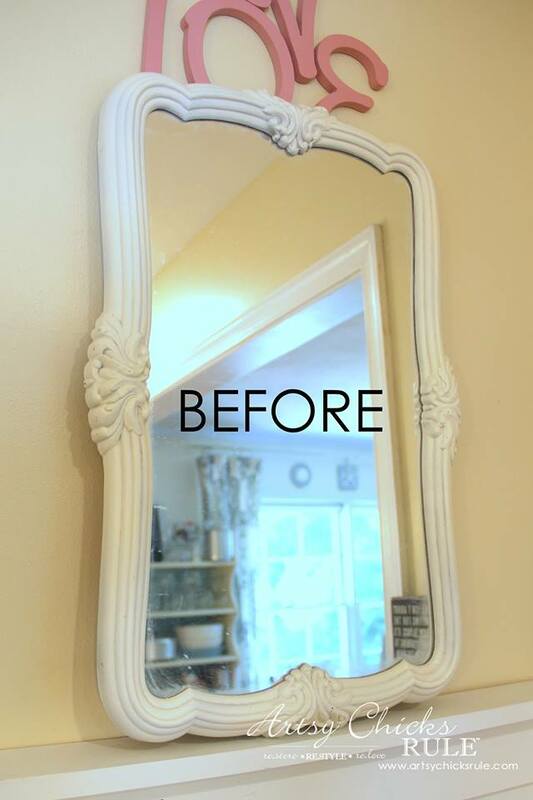 What a fabulous and easy makeover, Christy! 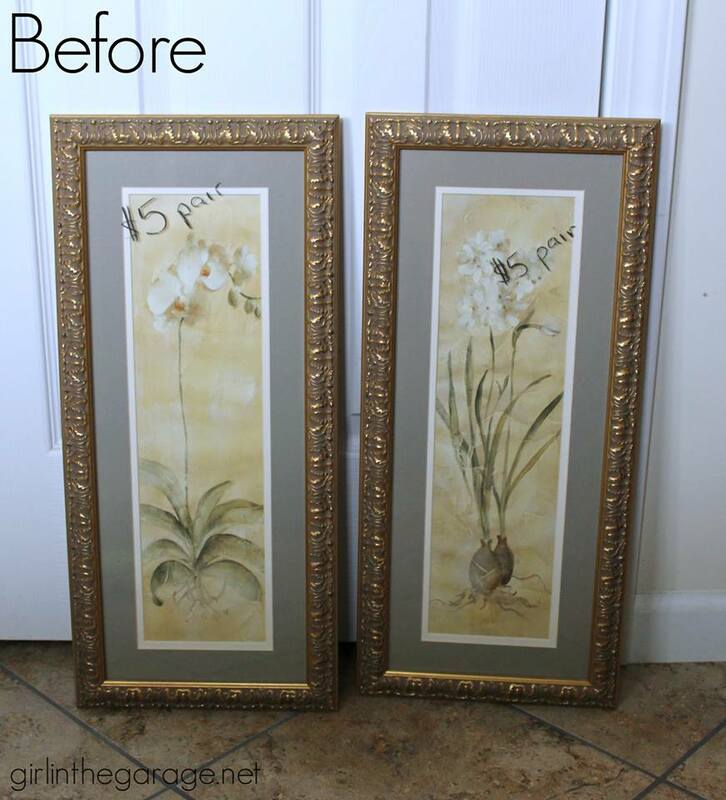 It is so fun to take unwanted and make them new, and you rock the DIY. You go girl! This is subtle and classic…Beautifully done! 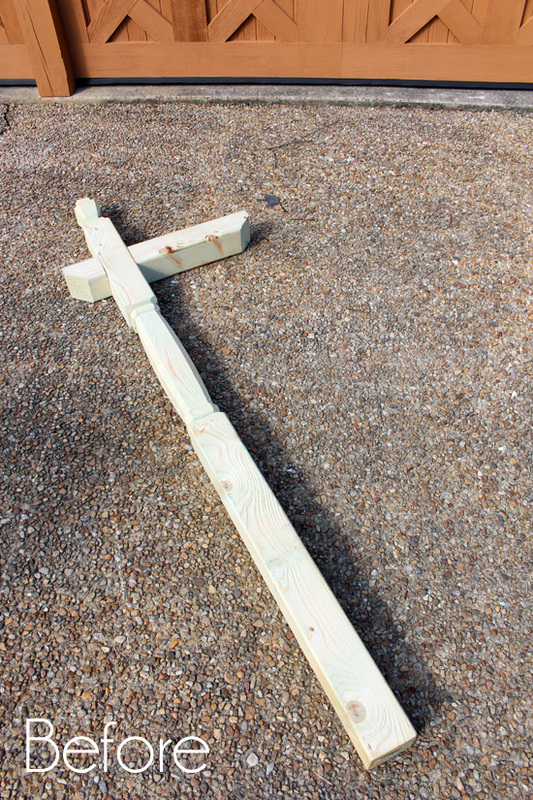 Sometimes the simple ideas are the most effective. Thanks for sharing! Great idea Christy! 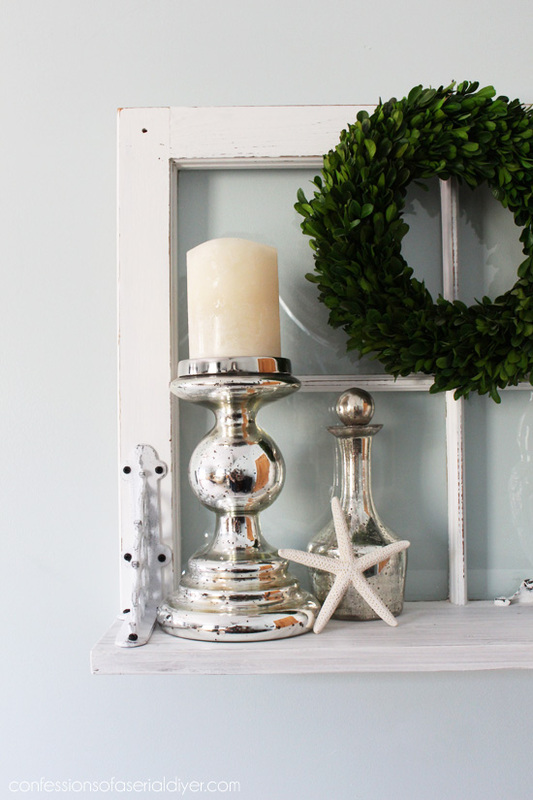 These would be gorgeous over a mantle, in an entry, or powder room during the holidays too. Cute! I made one of these after being inspired at a store where they had one for over $300!!!! I couldn’t believe it! I liked mine better than the one in the store too! Very cute! 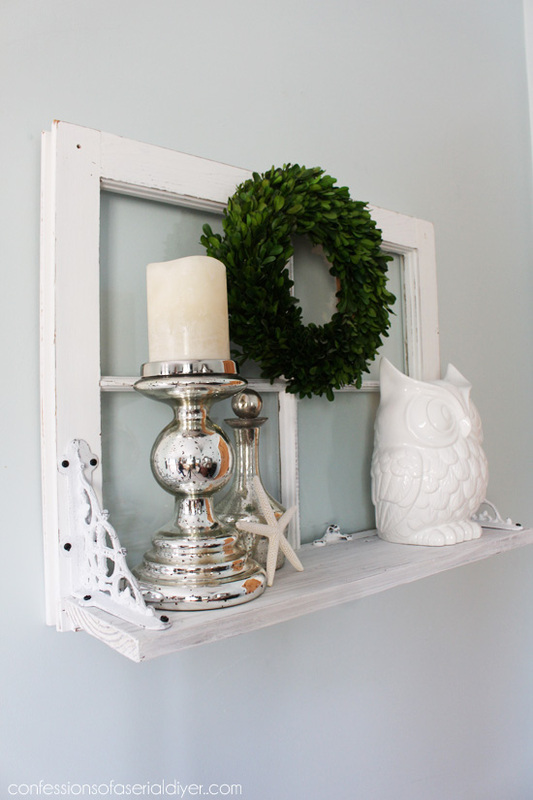 Love the idea of using the brackets on the top of the shelf instead of below. 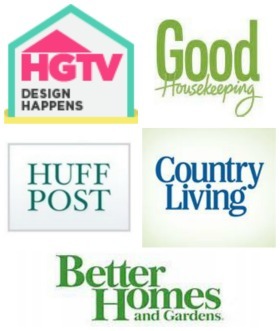 Love all your projects! But, how did you attach the shelf to the window and what did you use on the back of the window as the wall hanger? 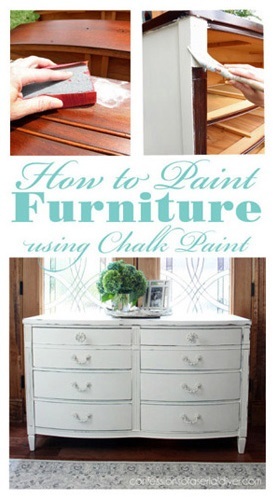 Did you sand some of the chalk paint off to expose the wood underneath..? SO cute!! 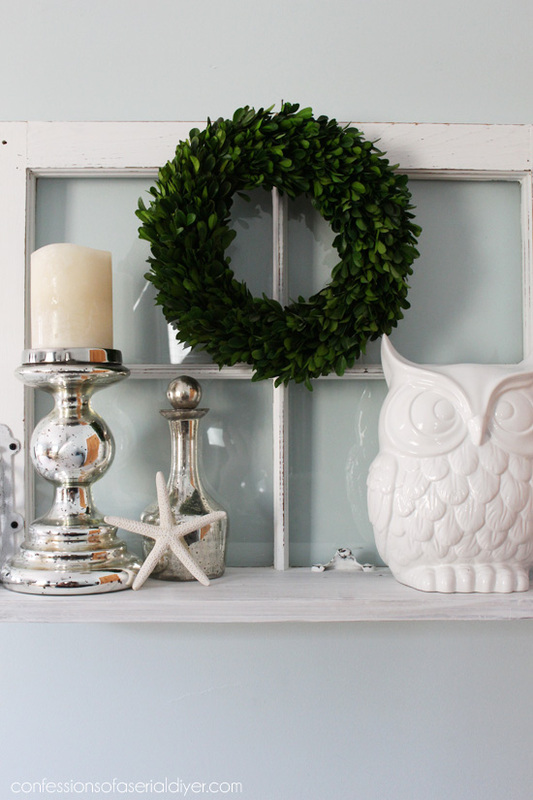 I love a whitewashed look too. Love how you styled it too!! 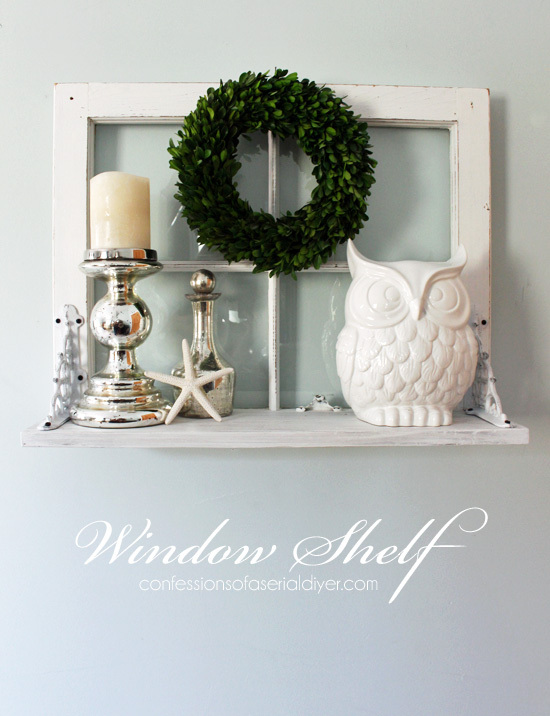 How do you hang the window with the shelf on the wall? Brackets on the back? 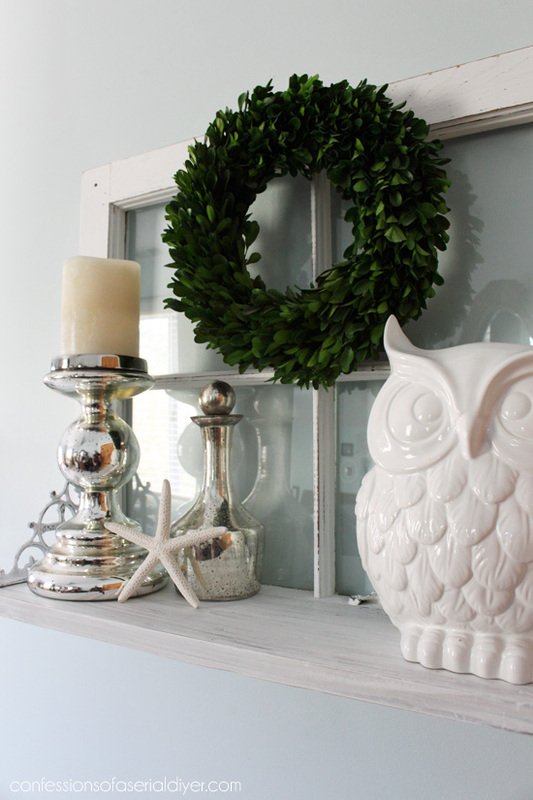 Christy you are a genius for imagining that these random pieces could be put together to make such a chic home accent! I love it- bravo!! This is so cute Kristy! I love going to the thrift store. Isn’t funny what people donate and we look at and see something fantastic? Sometimes I see something and think, “Oh, I could use that right in my . . .” and then wonder why someone would get rid of it. My daughter-in-law says she doesn’t have my vision when looking at something, but I told her I don’t always see where or what I’m going to use it, but I just get a feeling I need to take it home with me! So cute! 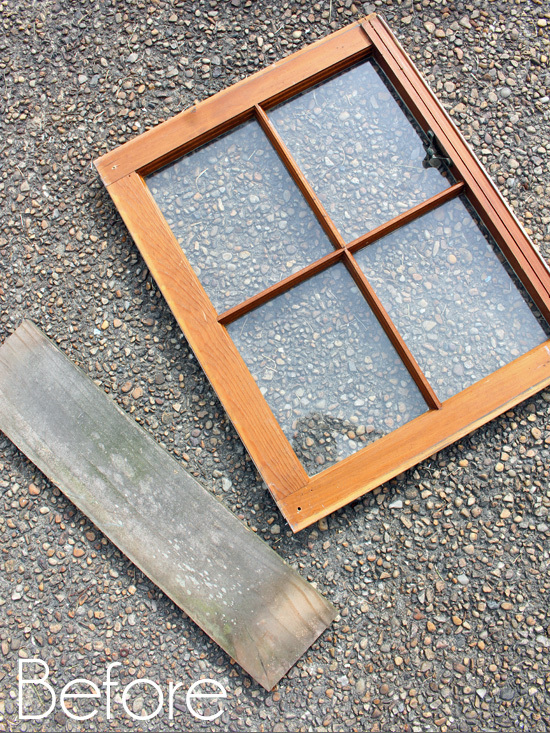 And how lucky to find an old window for $5! Great job transforming it!